Las Vegas is in love with Green Bay. At least the sports bookmakers are. The Packers have been installed as early 2.5-point favorites over the Steelers when the teams clash in Dallas on Feb. 6. The Vegas love affair is the culmination of a clear gambling trend during this postseason. Despite being the No. 6 seed, Green Bay was just a 2.5-point underdog to the Eagles when they played in the playoff opener in Philadelphia. After upsetting Michael Vick's squad, the Packers were just a 2-point underdog to the top seed Falcons - on the road no less. By kickoff, most of the money had been laid of Green Bay so the point spread was just about even. The Packers crushed the Falcons. For the NFC Championship, the oddsmakers had caught on. 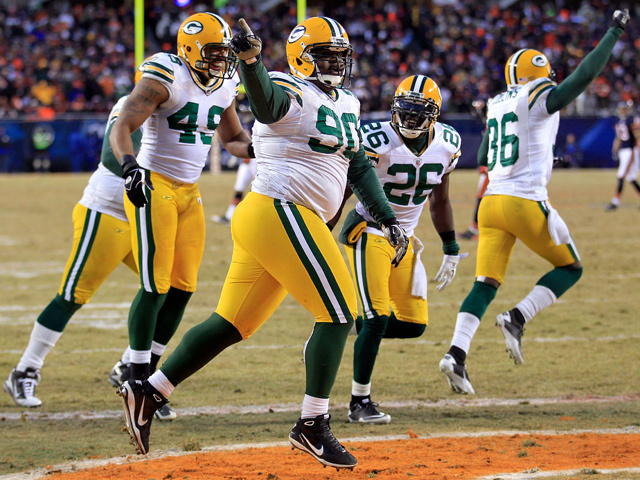 Green Bay was favored - even though they were playing the higher-seeded Bears in Chicago. Now it's on to Dallas, where the Packers enjoy early-favorite status. It's amazing to think that Green Bay barely even made the postseason - eking out a win over the Bears in Week 17 to qualify as a wildcard. Now they are the first No. 6 seed in the NFC to advance to the Super Bowl - and they are favored. Of course, once the dust settles and the kickoff gets closer, the line may very well shift toward the Steelers. After all, Green Bay's opponent knows a thing or two (or eight) about playing in the Big Game - this will be Pittsburgh's 8th appearance in the Super Bowl.